Complete & Integrated Cloud Services. BairesDev Cloud Computing services help organizations drive innovation and business transformation by increasing business agility, lowering costs, and reducing IT complexity. Our cloud computing specialists focus on reducing risk and decreasing total cost of ownership by combining infrastructure management services with secure cloud practices. BairesDev offers a full complement of cloud strategy services to help your organization take full advantage of cloud computing while minimizing costs and reducing risk. Through these professional service offerings, we partner with your organization and provide expertise in selecting a cloud strategy, designing business-grade cloud architectures, simplifying application migration and accelerating cloud adoption. Migrating enterprise applications to the cloud starts with a comprehensive strategy, and success is achieved only through detailed planning and strong technical execution. Our Cloud Migration Services provide guidance on how organizations can adjust their IT processes and compliance procedures to ensure their effectiveness when applied to cloud infrastructure and applications. 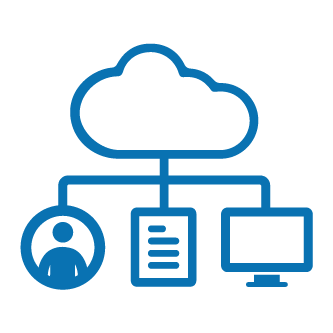 BairesDev’s cloud management and optimization solutions allow companies to reduce operating and support costs while efficiently maintaining and administering applications with improved service levels.